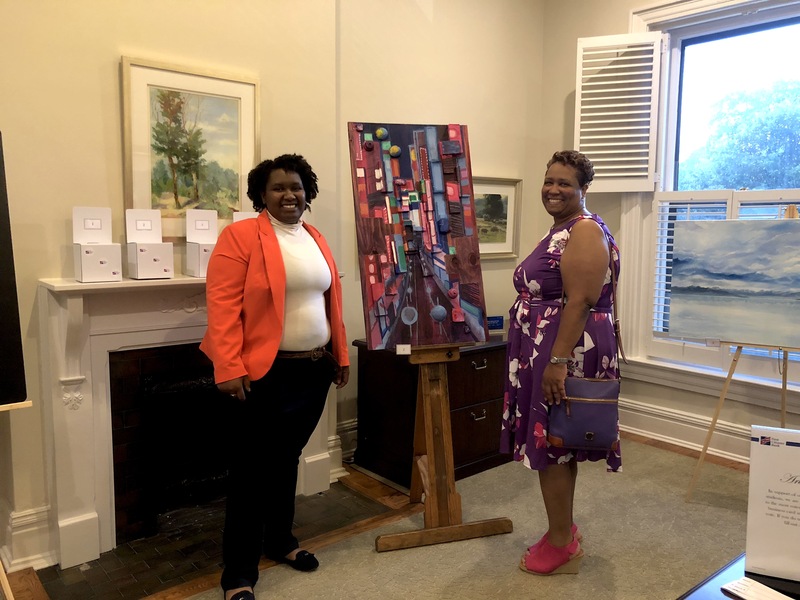 Senior Design Communications Major Jaleah Wright was recently named as the recipient of a $1,000 scholarship sponsored by First Citizens Bank (FCB) for one of her paintings. Earlier this fall, the Nashville branch of FCB moved into a historic house on Music Row. The bank reached out to Belmont’s Department of Art for student submissions of a visual art piece showcasing the new location/history of First Citizens Bank. Five students submitted artwork and Wright was selected as the winner.